My boys have really gotten into art lately. They love to color but regular coloring books are just too small and too detailed for them right now. And they can get expensive! 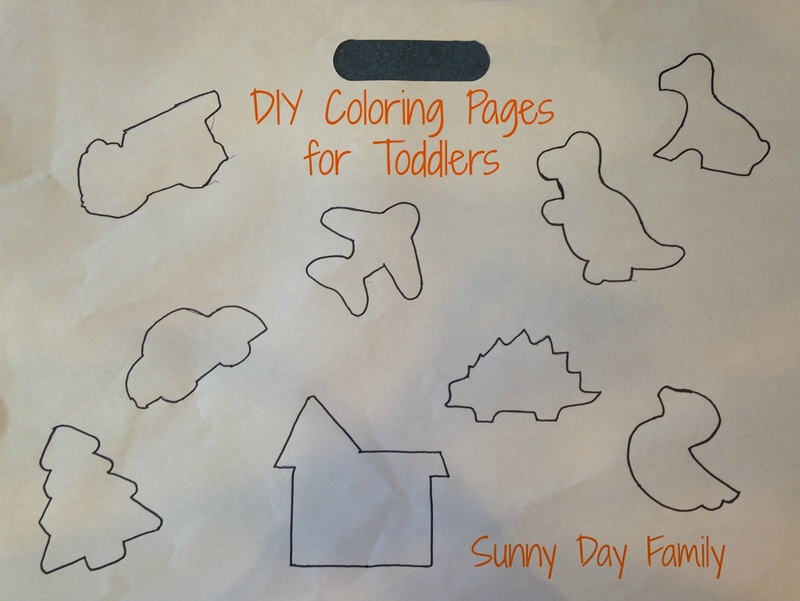 I decided to make our own coloring pages instead using floor paper and cookie cutters. These are perfect for little ones - big, simple, and can be customized to their favorite things. 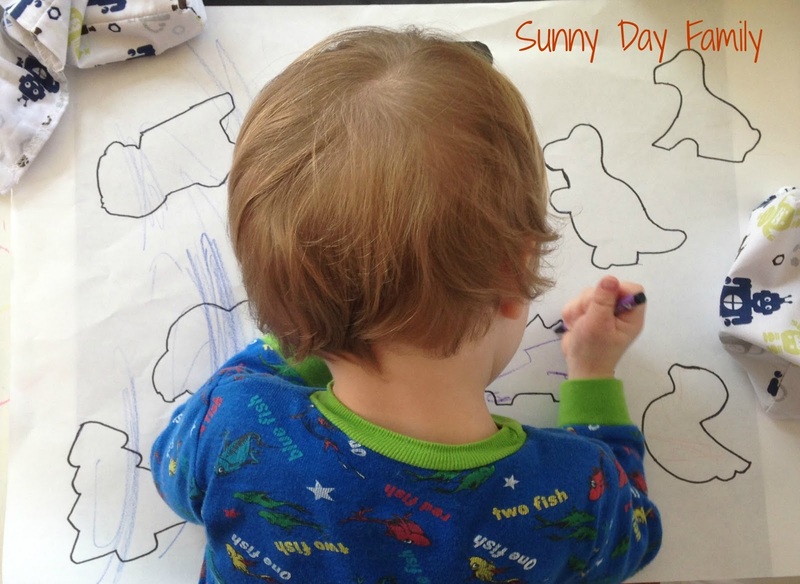 I used our Crayola Floor Pad (affiliate link) for these, but any large paper will work. The shapes are from my Wilton Cookie Cutter Set (affiliate link). I have had these for years (before I had kids!) and I use them for so many things! All you do is trace the shapes onto the paper. Trace with pencil first then go over your outlines in marker. I also found tracing inside the cookie cutter was easier. You can pick your child's favorite things - we did vehicles and animals because that's all the rage around here now. I like that the shapes are just simple outlines, and bigger kids can use them as a starting point to add in their own details. My set has holiday shapes as well, so these can make great Halloween and Christmas projects too.